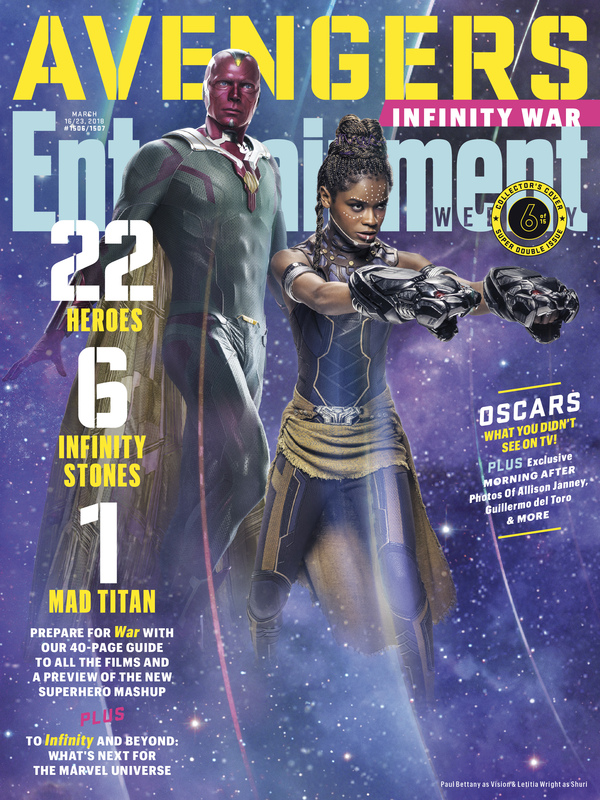 For 28 years, Entertainment Weekly has been the go-to source for entertainment media news, reviews, and in depth articles about Hollywood behind-the-scenes, and for those fans who want a more inclusive and exclusive look at their favorite movies and TV shows. Fandom is vitally important to the brand, such as the recent issue of Entertainment Weekly; it is one for the books. 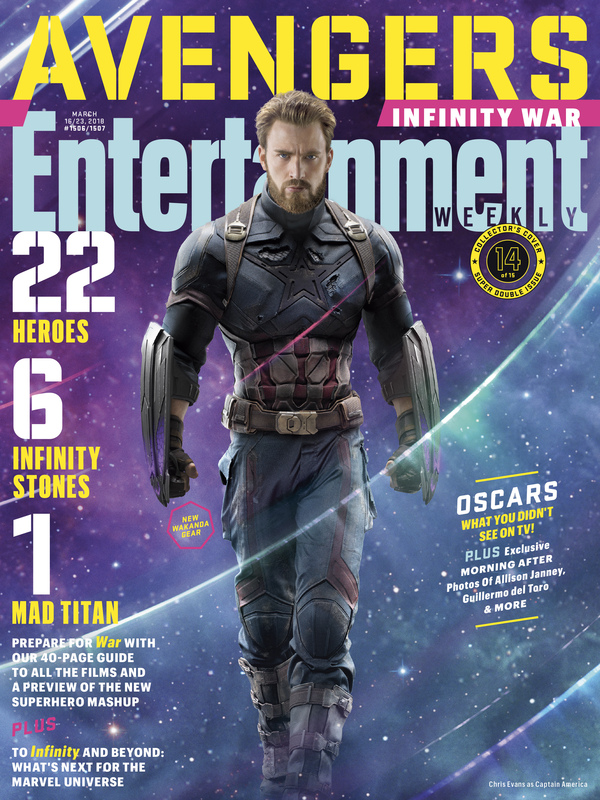 To honor Avengers: Infinity War, the latest and nineteenth film in the Marvel Cinematic Universe, EW published 15 commemorative covers featuring 22 superheroes and one bad guy. This is a big first for EW as it’s the most covers dedicated to an issue in the brand’s 28-year history and largely unprecedented in media. To get the scoop on this fascinating landmark issue, I recently spoke to Henry Goldblatt, editor in chief and Tim Leong, newly promoted executive editor, about the amazing 15 covers and the equally amazing 40-page, exhaustive love letter to fans of the Marvel Cinematic Universe that Tim conceived. It was a lively, fun and informational conversation, much like the EW brand itself. We also talked about the recent pack-up and move to the West Coast the brand undertook and the new Meredith ownership that has everyone excited about the future, laying to rest any of those rumored fears about Meredith selling EW and dampening bright horizons. So, I hope that you enjoy this Mr. Magazine™ interview with a weekly brand that is strong on all of its many platforms, with two gentlemen at the helm who believe in its continued success fully and are always looking forward to the next week and the next issue, Henry Goldblatt, editor in chief, and Tim Leong, executive editor, Entertainment Weekly. On Entertainment Weekly’s new ownership, new location, and all of the changes that are happening (Henry Goldblatt): I’m really excited because we’re a 28-year-old brand and it really feels like a startup. We were really able to reinvent ourselves with this move. And it was as simple as me putting together a business plan with the thought being that if we were starting this brand from scratch today, we would start it in L.A. And of course, when this brand was started back in the day it was started in New York City, because that’s where all publishing was and technology wasn’t good enough to put out a magazine across country when all of the hub was in New York. And that’s obviously changed. On the role of print in a digital age (Henry Goldblatt): That’s a really good question. 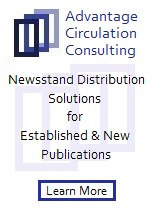 I don’t just consider myself editor in chief of a weekly magazine, but of an entire content organization. I became editor in chief a little over three years ago, and I remember when I was growing up, I felt that Entertainment Weekly set the agenda for that particular week’s conversation, like this is what we need to be psyched about in entertainment. So, I really tried to move that thought process into the 21st century. And I really want to give readers something on the cover of this magazine and inside the magazine that they can’t get on the Internet, that they can’t find on anyone’s social media feed, because of what our access allows. On the role of Entertainment Weekly’s cover today (Henry Goldblatt): My job is to set the entertainment agenda and conversation each week, and luckily I’ve done a lot of stunts in order to do this. The 15 Avengers covers are the perfect example of this. If I had just published one Avengers cover, people would have thought that was nice, whatever, but it really takes effective stunts like the Dawson’s Creek reunion or an Avengers 15 covers stunt in order to grab readers’ attention in a crowded media landscape. And I think we’re doing a pretty good job of it. On how Executive Editor Tim Leong conceived the 15 Avengers covers and his 40-page love letter to Marvel Cinematic Universe fans (Tim Leong): The process started almost a year ago. It began when we were trying to figure out how we would put all of these people on a cover, there are 20-something characters in this movie, so we were trying to figure out the logistics of even doing it. In trying to make it spunky and something that fans would appreciate, and doing something in print that we can’t do online or in any other version of the brand, that and doing 15 covers and a big 40-page package inside, it really set it apart from digital content and made the print version special. On the execution of those 15 covers and whether the art director and design team were in shock (Tim Leong): The idea sounds a little crazy, right? It’s a little complicated, because I was the creative director at the time, when we first started the process. But by the time it published, I was no longer the creative director, so some of the wheels are already in motion, in terms of the planning and production of it, but the design of it all goes to Keir Novesky, our design director, who did that cover. But it was a long back and forth. It started with a sketch that we did in-house and it’s pretty crazy, the final cover looks close to the original sketch, for sure. We definitely moved a lot of characters around and swapped some in and out, but it all started with a sketch. On the secret to keeping their audience clicking and ticking and captivated (Tim Leong): We just did this great fandom study and the real heart of it shows that the fans really want to engage on multiple platforms, not only in print, but online and other avenues as well, social and live events. I think what Henry has done a great job at is directing this brand in a way that it is truly multiplatform. And I think part of that is having a consistent tone and voice across all of our platforms, making sure that we go to the places that our readers want to go, and bringing EW to all of the platforms where our readers live. And the study definitely backs that up. On whether they’re making print more interactive (Henry Goldblatt): Yes. 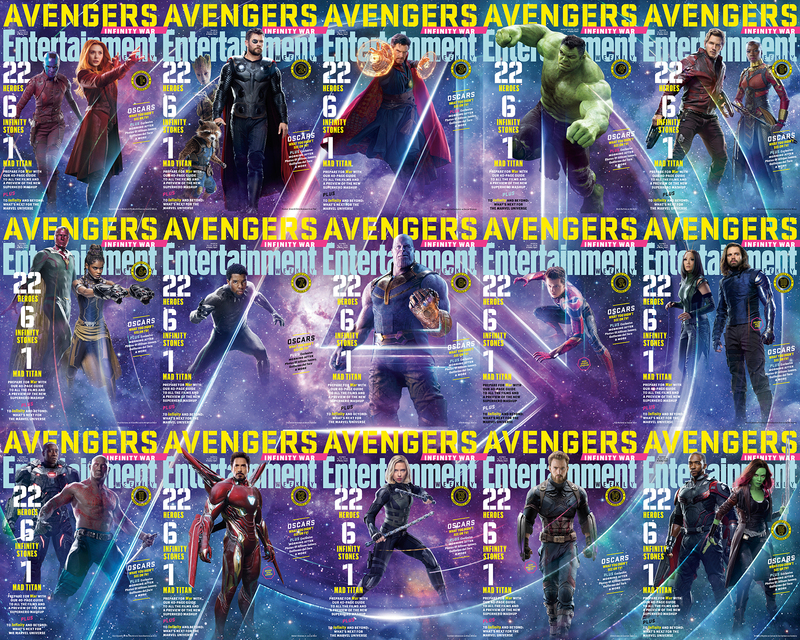 I mean, print is always going to be more of a lean-back experience, but I want to make sure that with this Avengers cover or with Dawson’s Creek or the Oscars, our entire staff sends out what we call a “rollout” for every issue. There’s a social point around every issue, there’s what articles are we publishing on ew.com; is there is a social campaign around that issue, is there a People TV special that we’re doing, what’s our video strategy? So, we’re asking ourselves all of those questions. If the issue covers the event in the tent pole, then we’re asking those questions around all of the ancillary things that come out of it. On whether there is any time to do actual editing with all of the duties and responsibilities that today’s editor has (Henry Goldblatt): That’s a really good question. And I am going to give you a very honest answer. With the move to L.A., as I said, it does feel more like a startup. I’m doing a little more actual editing than I have been recently, but you’re absolutely right, a title of editor in chief can be a misnomer sometimes, because I may be working on a thousand things that have nothing to do with editing. On Tim Leong being promoted from creative director to executive editor and is he happy using both talents (Tim Leong): The job goal is very similar, just the execution is different. Before you’re dreaming up how we’re going to treat this story from a design perspective, and now it’s how are we going to treat this story from an editorial perspective. And it’s still a ton of fun. I’m hugely excited about this opportunity and I’m eternally grateful to Henry for even considering me for this type of role. I find it to be incredibly fun and part of it is we have a wonderful stable of writers to work with. And they’re incredibly creative and that’s been one of the nicer joys of it. On any truth to the rumors that Meredith might sell Entertainment Weekly (Henry Goldblatt): We read the same reports that you did. I was really heartened to hear the announcement a couple of weeks ago that Bruce Gersh was taking over as president of People and Entertainment Weekly and EVP of the company. He’s a great supporter of the brand and I don’t think they would have made such a fanfare announcement around that and put Entertainment Weekly in its purview just to sell us. I feel very confident about our future and I’m psyched to be a part of the Meredith family. On anything either would like to add (Henry Goldblatt): I think the one thing that I’ve really tried to do at Entertainment Weekly is make sure that each of the print covers that are an event can feed our traffic, and the events themselves, can feed our traffic and our video streams and the rest of the brand in a very organic and cohesive way. On what someone would find him doing if they showed up unexpectedly one evening at his home (Henry Goldblatt): I’m on the floor playing with my dog and watching TV, most likely Scandal. On what someone would find him doing if they showed up unexpectedly one evening at his home (Tim Leong): If you came right this second, you’d see a mountain of boxes being unloaded. (Laughs) But I think one of the nice things about moving to the West Coast is an amplified family life. And you’d probably find me at home playing with my baby. On what he would have tattooed upon his brain that would be there forever and no one could ever forget about him (Henry Goldblatt): This is going to make me sound like a company man, but when I took over Entertainment Weekly three years ago, the motto that I’ve used and would want everyone to engrave and tattoo on their foreheads is: Smart, Funny, First, those are the three qualities that every piece of Entertainment Weekly content should embody. A good piece embodies two of those qualities and a great piece embodies all three. I’ve been imparting this on the staff for years now and I would be a hypocrite if I didn’t tattoo it on my own forehead. On what he would have tattooed upon his brain that would be there forever and no one could ever forget about him (Tim Leong): I’ve heard a lot of people say this, but I think it’s just so true and it’s what we really try to embody to the staff is work hard and be nice to people. On what keeps him up at night (Henry Goldblatt): To be perfectly honest, what keeps me up at night is I’ve asked 25 to 30 people to uproot their lives and move to L.A. and have faith in me and in this brand, and I just want to come through for them and I don’t want to disappoint them. On what keeps him up at night (Tim Leong): This job is a big responsibility and yes, we’re talking about entertainment, but even though it’s entertainment, it’s something that we take very seriously. And it’s something that I definitely want to be sure we do well, and I’m just trying to think about ways we can do it better. And even better for the future. And now the lightly edited transcript of the Mr. Magazine™ interview with Henry Goldblatt, editor in chief, & Tim Leong, executive editor, Entertainment Weekly. Samir Husni: Before we talk about Entertainment Weekly going to “Infinity War and Beyond,” Entertainment Weekly is going to the West Coast and beyond. What’s the status with Entertainment Weekly now, with the new ownership, the new location, with everything that’s taking place? 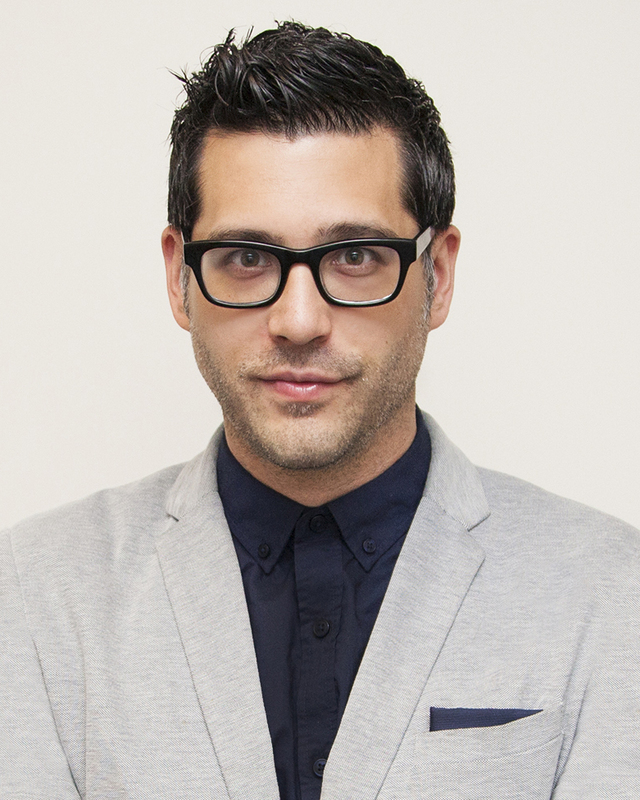 Henry Goldblatt: I’m really excited because we’re a 28-year-old brand and it really feels like a startup. We were really able to reinvent ourselves with this move. And it was as simple as me putting together a business plan with the thought being that if we were starting this brand from scratch today, we would start it in L.A. And of course, when this brand was started back in the day it was started in New York City, because that’s where all publishing was and technology wasn’t good enough to put out a magazine across country when all of the hub was in New York. And that’s obviously changed. So, it’s really exciting to be in the backyard of the people and the projects that we cover and I think that it’s going to result in better access for us and more entertaining and better content for our readers. 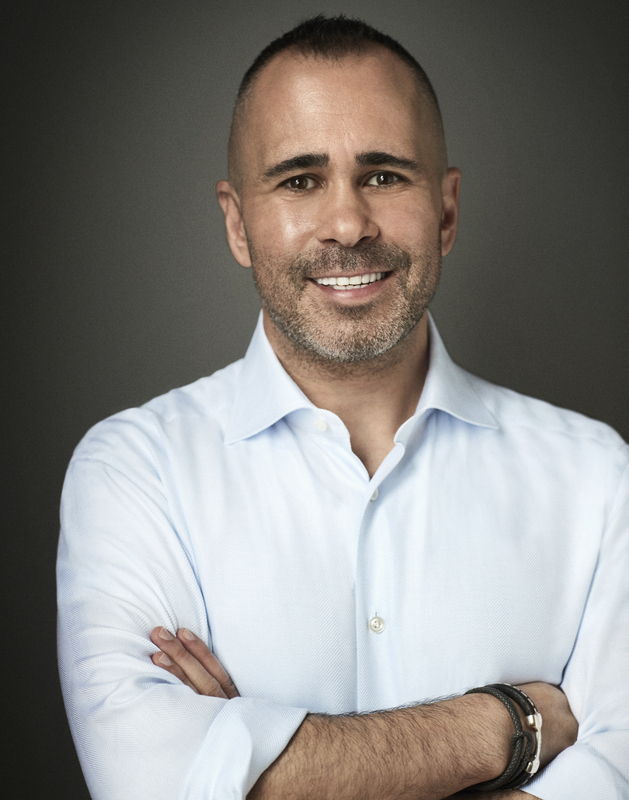 Samir Husni: There is a lot of talk that in this day and age that there’s no room for print weeklies, and things are changing and moving so fast. Yet, last week I interviewed the chief revenue officer at Us Weekly and she said that they’re still doing two million copies. 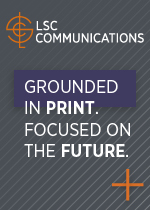 What do you think is the role of print in this digital age? Henry Goldblatt: That’s a really good question. I don’t just consider myself editor in chief of a weekly magazine, but of an entire content organization. I became editor in chief a little over three years ago, and I remember when I was growing up, I felt that Entertainment Weekly set the agenda for that particular week’s conversation, like this is what we need to be psyched about in entertainment. So, I really tried to move that thought process into the 21st century. And I really want to give readers something on the cover of this magazine and inside the magazine that they can’t get on the Internet, that they can’t find on anyone’s social media feed, because of what our access allows. We’re very lucky that movie studios and TV networks still vie to be on the cover of this magazine and that they realize it sells movie tickets and moves ratings for their TV shows. And so, we’re able to use that leverage in order to get some really wonderful, exclusive content. 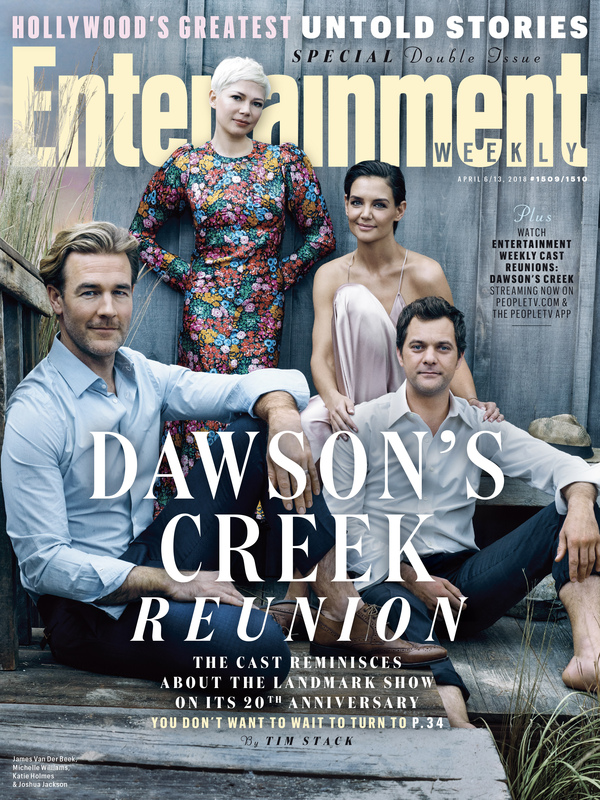 Our next cover is going to be a reunion to celebrate the 20th anniversary of Dawson’s Creek. The cast has never been back together before, and this is something that we’ve been negotiating for months and months and months. And we’re super-excited about it and we think it’s going to do very well for us. When the cast was coming together, they would never do this for a random website, they wanted the prestige of Entertainment Weekly and we have a history with this show and being very good to them, so they were very excited about coming back together. So, they will be on the cover of the magazine, there will be a special reunion TV show on People TV, and we have all sorts of videos and quizzes and all sorts of ancillary products and content that goes along with it that we’re super-excited about. Again, it’s the cover of this magazine that drew them to us and propels the best of the brand. Samir Husni: I was in France once with Matt Bean when Matt was the editor and he mentioned then the fact that he never received a phone call from any celebrity to be on the website, they all wanted to be on the cover of the magazine. What do you believe is the role of the cover of Entertainment Weekly today? Henry Goldblatt: I have to tip my hat to Matt, that’s a very good point. I’ve never received a call like that either. (Laughs) My job is to set the entertainment agenda and conversation each week, and luckily I’ve done a lot of stunts in order to do this. The 15 Avengers covers are the perfect example of this. If I had just published one Avengers cover, people would have thought that was nice, whatever, but it really takes effective stunts like the Dawson’s Creek reunion or an Avengers 15 covers stunt in order to grab readers’ attention in a crowded media landscape. And I think we’re doing a pretty good job of it. Samir Husni: Tim, since you were behind the 40-page love letter to the fans of the Marvel Cinematic Universe, tell me how did you take the ideas and conceive those 15 covers? Tim Leong: The process started almost a year ago. It began when we were trying to figure out how we would put all of these people on a cover, there are 20-something characters in this movie, so we were trying to figure out the logistics of even doing it. One thing that really inspired the creation of this cover was comic book trading cards that I collected when I was a youth. When you collected them all and put them in the right order, sometimes they would make this 3×3 collecting card montage image. And I thought that was a really cool inspiration and loved it and wanted to try and replicate that. I hadn’t really seen it in magazines at this scale, certainly not one that included 15 covers. I always like a good challenge and trying to outdo ourselves every single time, so that was the inspiration. But it took that long, as we had to negotiate and produce this whole thing. And to Henry’s point, in trying to make it spunky and something that fans would appreciate, and doing something in print that we can’t do online or in any other version of the brand, that and doing 15 covers and a big 40-page package inside, it really set it apart from digital content and made the print version special. Henry Goldblatt: We sell all of the art issues in a back issue store, ew.com/backissue, and this one, so far, we’ve sold over 10,000 Avengers issues from the back issue store because people are collecting them all, which has been pretty awesome. And it’s important to note that EW is primarily a subscriber brand. Tim Leong: (Laughs too) The idea sounds a little crazy, right? It’s a little complicated, because I was the creative director at the time, when we first started the process. But by the time it published, I was no longer the creative director, so some of the wheels are already in motion, in terms of the planning and production of it, but the design of it all goes to Keir Novesky, our design director, who did that cover. It’s really interesting too, talking about these fans who have gone crazy for them. This happens quite a bit with some of our other covers, but there’s such fan passion for these characters and these franchises that a lot of fans start to make their own versions of the covers. Sometimes they feel slighted because their favorite character wasn’t on it or they really want someone else to be on the cover with someone else and they start making all of their fan versions of the cover, which is really cool to see. Henry Goldblatt: I just wanted to add one thing to what Tim was saying. Tim is being super-modest, because of ideas like these I promoted him to executive editor because he was doing so much more than being the creative director. He really has both the outside of his brain and an editorial side of his brain that’s amazing, so it was ideas like this that got him that promotion. Samir Husni: If I put all of these 15 covers together, would I get some kind of a poster of the Avengers? Tim Leong: They all connect to make one big image. The background connects. Henry Goldblatt: If you look at page one of our Avengers issue, you’ll see how they all connect. Samir Husni: You’re also adding to the print by the entire website and brand. As you mentioned Henry, you’re no longer just doing a magazine, you have a brand. How are you going to ensure that the content in this brand and all of these exclusives from this cover that you can buy at the back issues store, to the Dawson’s Creek cover that’s coming up, how can you ensure that connectivity with an audience? 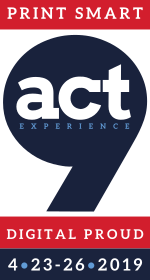 I remember the former CEO of Time Inc. telling me that there is only an eight second attention span, do you have to do one stunt after another to keep their attention? What’s the secret to keeping your audience clicking and ticking? Henry Goldblatt: I’m very fortunate; I have an enormous depth of research on the types of projects that our audience likes, and I’m actually going to let Tim speak to this, because he was involved in the study. Tim Leong: We just did this great fandom study and the real heart of it shows that the fans really want to engage on multiple platforms, not only in print, but online and other avenues as well, social and live events. I think what Henry has done a great job at is directing this brand in a way that it is truly multiplatform. And I think part of that is having a consistent tone and voice across all of our platforms, making sure that we go to the places that our readers want to go, and bringing EW to all of the platforms where our readers live. And the study definitely backs that up. But the study was really interesting and that was a really key takeaway for us. Fandom is a real mainstay for us, because you might just think of Avengers, that’s fandom, but that also applies to Outlander, which has been a massive success for us. Henry Goldblatt: Yes, it’s not just fandom and you automatically think of the Comic-Con crowd, that’s not the case at all. We have fandoms such as Outlander, which is a very female skewing fandom that does every bit as well for us, both digitally and in print, as Avengers does. Shondaland is another big fandom, between Scandal and Grey’s Anatomy, that skews more female and does very well for us too. The Walking Dead and Game of Thrones; there are all of these pockets that our readers are passionate about. And you may be a subscriber to Entertainment Weekly and you may not like every single subject that’s on the cover, but I guarantee you that throughout the year I’m going to appeal to you more often than I won’t. Tim Leong: I just think one of the things that EW does better than other brands is really over delivering and going all in on those different fandoms. Like this Avengers one, for instance, giving you 40 pages, there are little fun things throughout. We hid 10 little Ant-Man characters throughout the issue just so you can find them. We just really kind of over deliver on the things that our readers love in a way that no one else can. Henry Goldblatt: On the flip side to Avengers, about three weeks ago, we did a 90th anniversary tribute to the Oscars that was 40 or 50 pages and we called it “Hollywood’s Greatest Untold Stories – The Oscars Edition,” and we took a deep dive into the things you may not know about Oscar-winning movies; the things you could never see on TV. We worked with the Academy and got a whole bunch of pictures that they had never released before that were exclusive to Entertainment Weekly for this issue. So, an Oscars fan may be different from an Avengers fan, they may be the same, but we try and cover the entire pop culture landscape. Samir Husni: Are you telling me that you’re making print interactive? Henry Goldblatt: Yes. I mean, print is always going to be more of a lean-back experience, but I want to make sure that with this Avengers cover or with Dawson’s Creek or the Oscars, our entire staff sends out what we call a “rollout” for every issue. There’s a social point around every issue, there’s what articles are we publishing on ew.com; is there is a social campaign around that issue, is there a People TV special that we’re doing, what’s our video strategy? So, we’re asking ourselves all of those questions. If the issue covers the event in the tent pole, then we’re asking those questions around all of the ancillary things that come out of it. Samir Husni: I have to ask you the questions; with the new ownership, with the move, with everything taking place, with the enhanced responsibilities, is the job of a magazine editor today a walk in a rose garden or was it ever a walk in a rose garden and do you have time to do any editing? Henry Goldblatt: (Laughs) That’s a really good question. And I am going to give you a very honest answer. With the move to L.A., as I said, it does feel more like a startup. I’m doing a little more actual editing than I have been recently, but you’re absolutely right, a title of editor in chief can be a misnomer sometimes, because I may be working on a thousand things that have nothing to do with editing. One of my favorite things that I get to do every week is a radio show for EW Radio and Sirius XM. And I never grew up with a broadcast background or any type of radio background, and this is a brand extension that I’m super proud of and we’re very invested in and it’s making us a lot of money. Sure, I never thought I’d be a radio broadcaster, but here I am and I’m enjoying it. I work a lot with our publisher and our business side on initiatives, and again, that’s not what I was trained to do, but I’m enjoying it as well. So, having been in journalism for a long time, it’s nice to be able to stumble onto these new things and stretch my brain a bit. Samir Husni: Tim, you moved from being creative director to the executive editor; what comes with that move? Are you happier using both talents? Do you have one foot in each place now? Tim Leong: The job goal is very similar, just the execution is different. Before you’re dreaming up how we’re going to treat this story from a design perspective, and now it’s how are we going to treat this story from an editorial perspective. And it’s still a ton of fun. I’m hugely excited about this opportunity and I’m eternally grateful to Henry for even considering me for this type of role. I find it to be incredibly fun and part of it is we have a wonderful stable of writers to work with. And they’re incredibly creative and that’s been one of the nicer joys of it. And not to go back to the Avengers, but so much of it is planning fun, cool stuff to do. 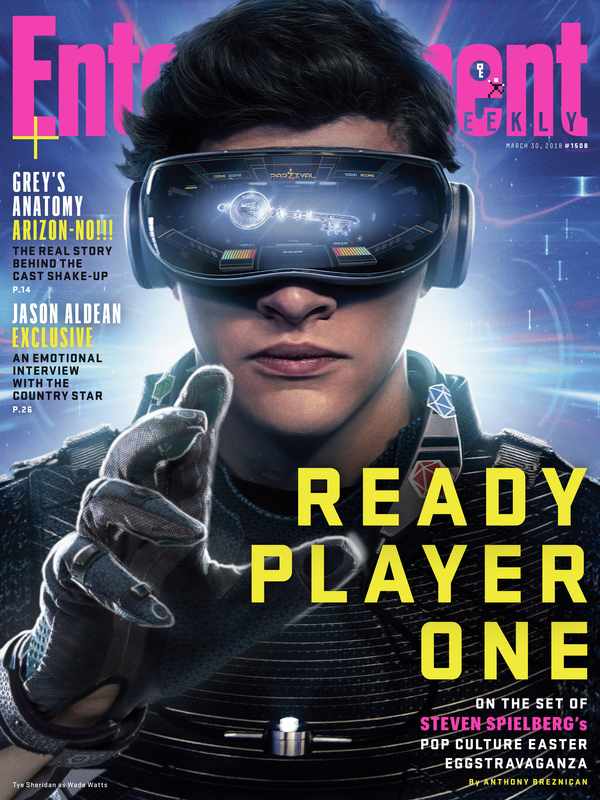 And in the creative director role, that’s doing cool designs and illustrations and that type of cool stuff, but here it could be, for instance, with the cover story that’s coming out this week is “Ready Player One.” And I don’t know if you’re familiar with the book and the movie that’s coming out, directed by Steven Spielberg, but in that cover story our writer, Anthony Breznican, talks about how Steven Spielberg, his crew kept trying to put references to Steven Spielberg’s movie into Ready Player One, and he kept trying to take them out. So, one thing that we did in the text was highlight or kind of write in titles of Steven Spielberg’s movies in the text and design them with the logos of those movie titles. It’s more of an editorial thing and about making it fun and interactive, and something special that you can only do in print and doesn’t quite work as well online. So, a lot of the goals are the same, the execution is just a little bit different between those two jobs. Samir Husni: And I have to ask you about the rumors that Meredith may be selling the magazine, any truth to that? Henry Goldblatt: We read the same reports that you did. I was really heartened to hear the announcement a couple of weeks ago that Bruce Gersh was taking over as president of People and Entertainment Weekly and EVP of the company. He’s a great supporter of the brand and I don’t think they would have made such a fanfare announcement around that and put Entertainment Weekly in its purview just to sell us. I feel very confident about our future and I’m psyched to be a part of the Meredith family. Samir Husni: Is there anything else either of you would like to add? Henry Goldblatt: I think the one thing that I’ve really tried to do at Entertainment Weekly is make sure that each of the print covers that are an event can feed our traffic, and the events themselves, can feed our traffic and our video streams and the rest of the brand in a very organic and cohesive way. Samir Husni: If I showed up unexpectedly at your home one evening after work, what would I find you doing? Having a glass of wine; reading a magazine; cooking; watching TV; or something else? Henry Goldblatt: I’m on the floor playing with my dog and watching TV, most likely Scandal. Tim Leong: If you came right this second, you’d see a mountain of boxes being unloaded. (Laughs) But I think one of the nice things about moving to the West Coast is an amplified family life. And you’d probably find me at home playing with my baby. Henry Goldblatt: This is going to make me sound like a company man, but when I took over Entertainment Weekly three years ago, the motto that I’ve used and would want everyone to engrave and tattoo on their foreheads is: Smart, Funny, First, those are the three qualities that every piece of Entertainment Weekly content should embody. A good piece embodies two of those qualities and a great piece embodies all three. I’ve been imparting this on the staff for years now and I would be a hypocrite if I didn’t tattoo it on my own forehead. Tim Leong: I’ve heard a lot of people say this, but I think it’s just so true and it’s what we really try to embody to the staff is work hard and be nice to people. Henry Goldblatt: To be perfectly honest, what keeps me up at night is I’ve asked 25 to 30 people to uproot their lives and move to L.A. and have faith in me and in this brand, and I just want to come through for them and I don’t want to disappoint them. Tim Leong: This job is a big responsibility and yes, we’re talking about entertainment, but even though it’s entertainment, it’s something that we take very seriously. And it’s something that I definitely want to be sure we do well, and I’m just trying to think about ways we can do it better. And even better for the future.